· Access the full reports and projects here and here. 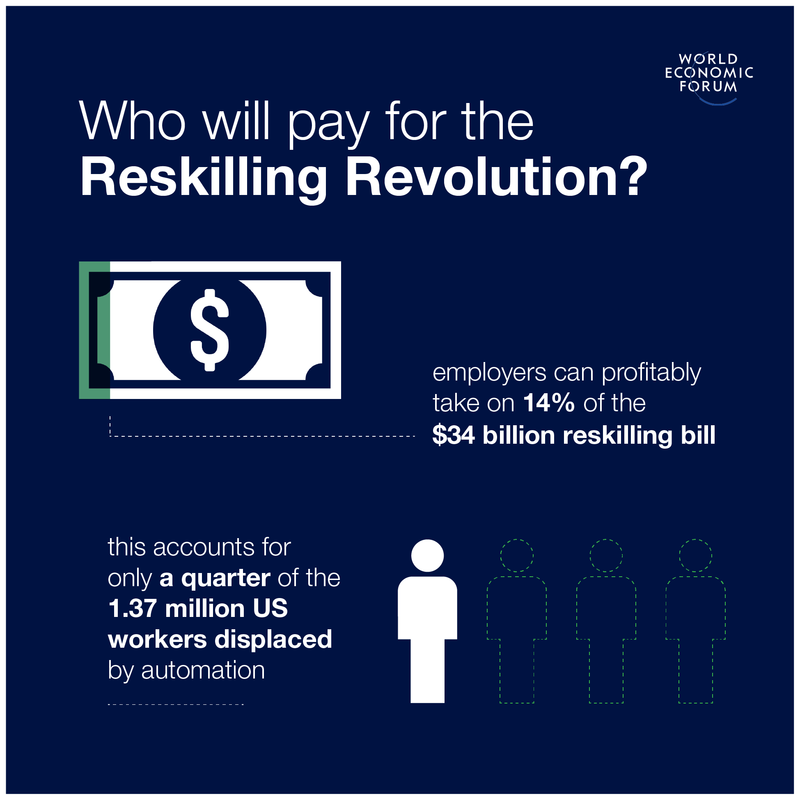 Davos, Switzerland, 22 January 2019 – The cost of reskilling the 1.4 million US workers likely to lose their jobs as a result of the Fourth Industrial Revolution and other structural changes over the next decade will largely fall on the government, with the private sector only able to profitably absorb reskilling for 25% of at-risk workers. This is the finding of a World Economic Forum report published today. The World Economic Forum’s Centre for the New Economy and Society’s vision is to build dynamic and inclusive economies and societies that provide a future of opportunities for all. In addition to the studies and projects outlined above, at the Annual Meeting 2019 in Davos, the centre will create public-private collaborative efforts and promote new thinking in six key areas: growth and productivity; inclusion and social cohesion; the intangible economy; education and skills; work and employment; and gender and diversity.